Innovative Counseling, Psychotherapy and Life Coaching solutions for Individuals, Couples and Families of all ages. 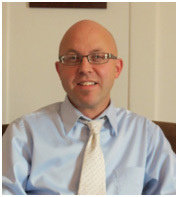 Christian Locke, Founder and Lead Therapist for Innovative Behavioral Health, has been counseling clients since 1994. Christian received his bachelor's degree in Psychology from Northern Illinois University, and Master of Social Work degree from The University of Iowa. Over the years, Christian has worked in a wide variety of settings in both management and direct therapy roles. I pride myself on my ability to genuinely connect with the individuals, couples, and families with whom I work. I pull from a wide variety of therapy approaches such as Cognitive Behavioral Therapy, and the Empowerment Approach; however, you're more likely to notice my relaxed demeanor and my optimism. I work with many different age groups from teenagers, to adults, to Seniors, and I am experienced in navigating and improving complex family and couples relationships. I feel fortunate that I've been allowed a glimpse into the lives of the people that I see in our counseling practice. My goal is to make you feel at ease from your very first visit - this is vital in creating an atmosphere that allows you to feel comfortable speaking freely about challenging issues. I work a variety of morning, afternoon and evening hours throughout the week. I am available early morning through evening on Saturdays. I truly enjoy my work so feel free to give me a call if you're interested in setting-up a meeting. Christian is available at both the Naperville location and the Oswego location for sessions. 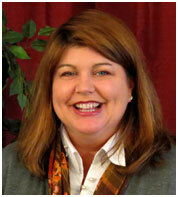 Veronica Lickfelt is a Licensed Clinical Social Worker and Type 73 School Social Worker. She grew up on the North side of Chicago and attended the Chicago Public Schools. She received her bachelor's degree in Social Work from Wartburg College in Waverly Iowa in 1995 and her master's degree in School Social Work from Jane Addams at UIC in 2000. She has worked at an agency with homeless teens, for several school districts as well as the local special education cooperative, and even once through an outreach program in a laundry mat! She definitely thinks outside the box. Her work has included services to children ages three and up, teenagers, adults and Seniors. She sees clients with disabilities, cognitive, developmental and behavioral challenges including Autism and sensory issues, as well as depression, anxiety, and life transition concerns. Because people aren't equipped with a magic wand and a crystal ball to fix life's problems and predict what is coming next, Veronica helps individuals, couples, and families see where they have been and develop where they want to go now and in the future. Veronica prides herself on her ability to listen and understand in order to develop ideas that can make goals into reality. She empowers people. Her approach is innovative, just like the name of the group, Innovative Behavioral Health that she co-founded with her husband, Christian Locke, LCSW. Her professional experience with complex family dynamics, paired with her personal experience within her own marriage, has made her sensitive and intuitive in her work with couples. Veronica is currently seeing clients in Naperville and Oswego by appointment. Jason Cole is a Licensed Clinical Professional Counselor and Certified Alcohol and Drug Abuse Counselor who has been counseling clients since 1994. He earned his master's in Mental Health Counseling from Roosevelt University. While working in mental health centers in both Chicago and the Southwest suburbs, Jason has gained a wide range of experience in working with both adults and adolescents in areas such as building self esteem, self confidence and overcoming depression and addictions. 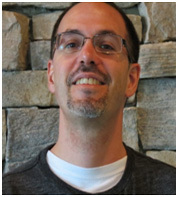 Jason works with individuals, couples and families to overcome obstacles and barriers needed to have satisfying relationships and life experiences. Besides working at IBH, Jason is also a Therapist at a local community mental health center, and has been working very diligently to provide therapy and treatment services to adults, adolescents, and families with mental illness and in the area. Jason believes that everyone has the innate tools to help themselves, and passionately works with others to see the strengths and abilities that they possess. He believes that people will take positive steps to improve their lives and will learn to trust themselves if they feel that someone understands their issues. He will work diligently with you to help you achieve your goals and aspirations. Jason works evening hours and Saturdays in the Naperville location. Kimberly G. Holstein (Kim) is a Licensed Clinical Social Worker, a Certified Alcohol and Drug Abuse Counselor and a Type 73 School Social Worker. Kim has had the privilege of counseling children, adolescents, adults, couples and families since 1993 and has a very diverse professional background. Kim has worked in residential school settings for at-risk children and their families, group home facilities for adolescents under the guardianship of the Department of Correction/Department of Children and Family Services, grief programs for law enforcement families who suffered the loss of a parent/spouse in the line of duty, the community counseling and crisis intervention department of a local police station where she provided marital, individual and family therapy, and local community agencies that provided domestic violence and sexual assault crisis intervention services. Recently, Kim worked at a nationally known alcohol and drug abuse treatment facility as part of her CADC certification training. Kim earned her Bachelor's Degree in Human Services & Psychology and her Master's Degree in Clinical Social Work. In addition to her work as a Therapist at Innovative Behavioral Health, Kim is also a school social worker for a local school district where she serves as the Social Work Department Chair. Kim brings a high level of empathy and compassion to her work as well as immense respect and admiration for her clients in taking those first steps to improve the quality of their lives. Kim's approach to therapy focuses on understanding and validating each client's perspective based on their own unique life experiences, then assisting them in identifying and removing the roadblocks that keep them separated from the life they desire. Cognitive Behavioral, Dialectic and Solution Focused Therapy, as well as the Strengths Perspective, are some of the foundations of the interventions Kim has successfully utilized. Outside of work, Kim is committed to peace and social justice issues, whereas recently, she had the honor of offering hope and relief at an orphanage and hospital in the earthquake ridden capitol of Port-au-Prince, Haiti. With her personal background as a wife and mother of three children and two "bonus" children, Kim also brings a depth of life experience and understanding to her work with children, adolescents, adults, couples and families. Kim is committed to providing a safe, supportive and hope-filled environment to explore her client's experiences in order to assist them in progressing toward their personal goals. Kim is currently seeing clients at the Oswego office. Melanie "Mel" Dewey is a Licensed Clinical Professional Counselor who earned her bachelor's degree in Psychology from Benedictine University and her master's in Counseling Psychology with a specialty in adolescents and children from Lewis University. Since 2008 she has been working with clients who have a variety of issues such as trauma, suicidal ideation, self- injury, depression and anxiety. 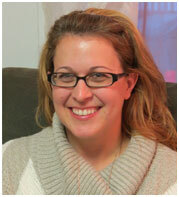 Mel enjoys working with individuals and families by using play, art and talk therapies. Mel believes as a therapist that it's her job to help people recognize that the ability to heal, change, and grow lies within each of us. 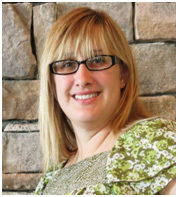 Melanie has gained a wide range of experience in working with children, adolescents, adults, and Older Adults. Melanie's Specialty areas include Depression, Anxiety & Stress, Relationship Concerns, Life & Career Changes, as well as Self-Confidence & Self-Esteem Issues. Melanie provides individuals, couples, and families with the guidance, support, and empowerment needed to overcome the most challenging life circumstances. She takes pride in her ability to creatively and warmly connect with children and teens, and truly enjoys assisting people in reviving relationships and re-discovering their passion for life. Melanie is available for daytime, evening and Saturday appointments in our Oswego location.